Sophomore political science and sociology major Andrew Bearkland has been forming a friendship with a refugee halfway around the world since last semester as part of a professor’s ambitious correspondence project. Bearkland was offered a chance to connect over text message with Satimon Logwonga Elisa, a South Sudanese refugee in Uganda’s Imvepi refugee camp, after taking a course with psychology professor and program director Turhan Canli. The inspiration for Canli’s project came when an Australian colleague put him in touch with a refugee from Nauru, a Pacific island that houses the Nauru Regional Processing Centre, an Australian immigration detention facility. The two developed a connection over time that reached deeper than Canli’s academic interests and inspired him to give his students the same opportunity. The professor started the correspondence project last semester to give his students and refugees the opportunity to form and develop the same kind of deep connection he had formed. After a bumpy start, Bearkland and Logwonga Elisa started to develop a bond. The 24-year-old Logwonga Elisa and his family are just a few of the more than one million refugees who have come to Uganda from South Sudan. 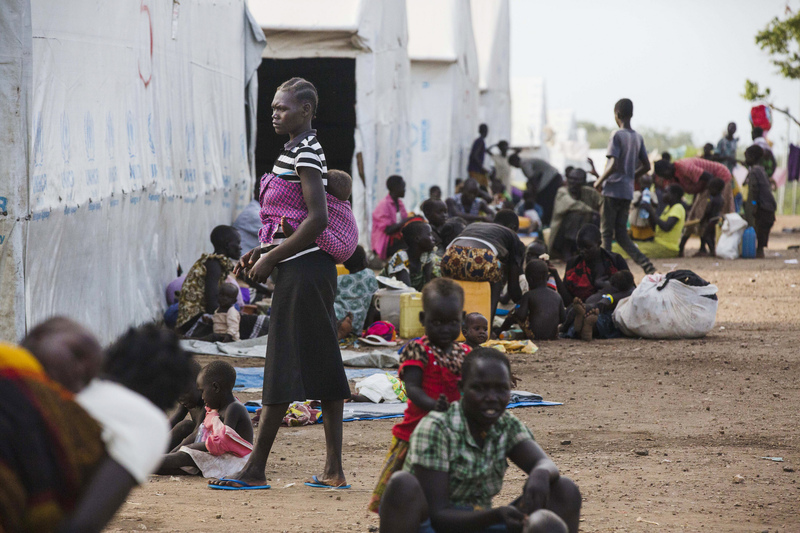 Since splitting from Sudan in 2011, South Sudan has been racked with civil war, famine and water shortages. The conflict has forced nearly four million people from their homes, and has put a massive supply strain on the communities that take them in. Logwonga Elisa spends his time in Imvepi playing dice, cards and watching his friends play soccer. Bearkland said he found his friend surprisingly optimistic, despite the hardships he has endured. The connection he developed with Logwonga Elisa gave Bearkland new perspective and helped him put a face on the refugee crises worldwide, he said. Anybody interested in joining Canli’s correspondence project can contact him directly via email, although the professor stressed that not every applicant will get to participate. Bearkland also emphasized that prospective participants should treat refugees the same way they would treat any new friend. A sense of normalcy and acceptance, besides helping spur conversation, can actually help refugees recover from their traumatic experiences.